Start by printing out the PDF. 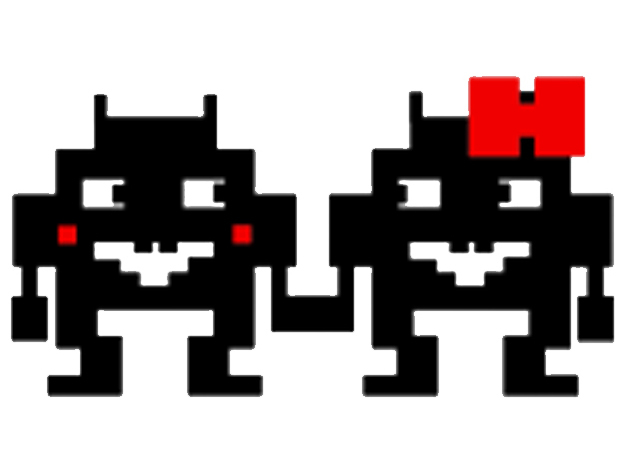 I made these templates based on an image search for Space Invaders. You can look up your own images if you don't see what you like in my packet. Cut out your templates very carefully, use the exacto knife for the eye spots. I tried to keep all the little bits connected to each other so I didn't cut them out entirely. Use the cutouts as templates to trace the invaders onto your construction paper. You could skip this step and just use the printed out invaders, but I think the construction paper looks more solid in the end. Fully cut out the construction paper invaders. Brush Modge Podge or white glue on one side of each invader and lay that side down on the white contact paper. Make sure to glue the invader to the surface of the contact paper, not to the sticky side that is covered with the peel away back. Do this for all the invaders. Then, paint more Modge Podge or glue over the invaders to seal them to the contact paper. Peel pieces of clear contact paper off of its back and lay the clear contact paper over the Modge Podgey invaders, so you can seal the invaders between the two layers of contact paper. Press down to make sure all the layers seal together. Cut out around the invaders (I left a thin border around them), and use the exacto knife to cut out the eyes. I set mine under some heavy books for a couple of hours to keep them from peeling. When you're ready to stick them up, peel the backing off the white contact paper and stick away! 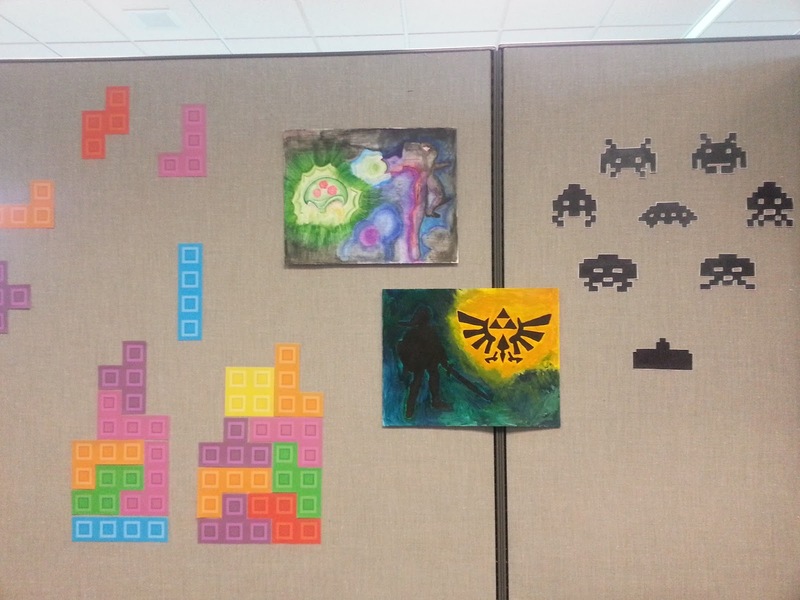 Here are Caleb's invaders in his cubicle at work (along with a couple of paintings I made him for his birthday), I think he got those tetris decals from ThinkGeek... maybe?